My broken tooth is cutting my tongue - What can I do to make it feel better? 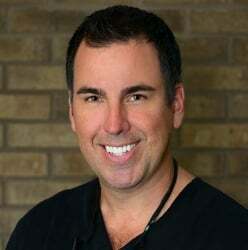 Sarasota Dentistry » Blog » My broken tooth is cutting my tongue – What can I do to make it feel better? My broken tooth is cutting my tongue – What can I do to make it feel better? Broken, fractured or chipped teeth are a very common event. It usually doesn’t cause any immediate pain to the tooth, but can quickly become very painful to the tongue. You will notice it gets worse quickly if required to talk a lot. Try to see your dentist first: don’t put a Dremel tool in your mouth! Note that anything you put in your mouth could be swallowed or aspirated (inhaled) so be careful! Go to your local drug store and ask for temporary filling material. One brand is Dentemp dental filling and cap repair material. Mix as directed and apply to chipped area forming a smooth surface to your tongue. The drug store also sells a temporary crown material if you loose or chip a large portion of your crown or filling. This comes in handy if it is a front tooth – chipped, broken, or missing front teeth can be very embarrassing! Wax is another temporary solution. If you ever had braces, you have used orthodontic wax around sharp wires and brackets. This was may be available at your local drugstore. Anything that sticks to the tooth could be a temporary solution. Chewing gum placed over the fractured area has worked well as a temporary solution for many patients. Some have also tried to file or smooth their tooth. This is a risky proposition and not recommended. Definitely not a good idea if you feel any pain. A nail file is usually the instrument of choice. Diamond coated abrasive surface may work most efficiently. Don’t bother with an Emery board. Tooth enamel is very hard and requires either a sharp carbide blade or diamond surface to cut and smooth. Limit the amount of talking and chewing until the broken tooth is patched or repaired in order to minimize the long-term pain. Pain pills and numbing gel will only mask the pain and allow the soft tissue ulceration to worsen. Visit Sarasota Dentistry to fix your sharp, chipped, or broken tooth. Call the dental offices of Sarasota Dentistry to schedule an appointment with Dr. Hank Michael at (941) 929-7645 or e-mail us today!